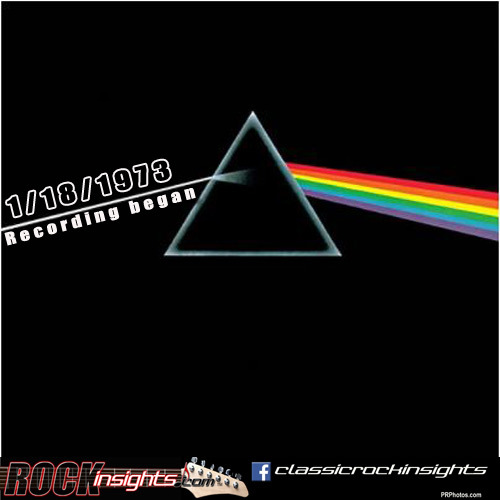 Recording sessions for Dark Side Of The Moon began on this day in 1973. The album would get its release on March 1. On February 18 of that year, the Rolling Stones did a benefit concert in LA to raise money to provide relief to Nicaraguans suffering from a devastating earthquake that struck near the country's capital on 12/23/1972. Bad Company formed on this day in 1974, Paul Rogers & Simon Kirk coming from Free, Mick Ralph from Mott The Hoople and Boz Burrell from King Crimson. Warren Zevon's Excitable Boy album dropped on this day in 1978, and Bryan Adams' Cuts Like A Knife in '83. The Rolling Stones, Stevie Wonder and Otis Redding were inducted into the Rock Hall Of Fame on 1/18/1998. And Glenn Frey of the Eagles died on this day in 2016 from pneumonia and complications relating to other ailments.